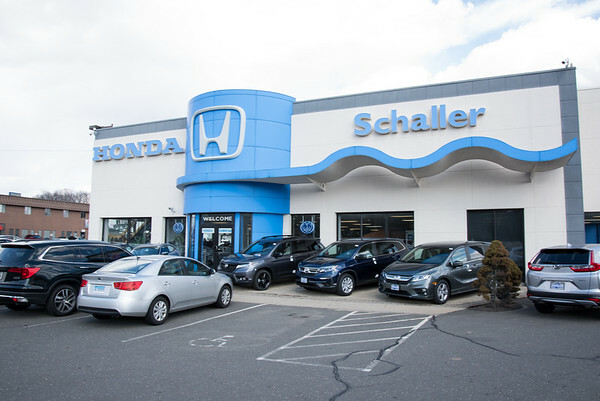 NEW BRITAIN – For over 65 years, Schaller Auto World has provided Connecticut residents with the finest selection of new and used vehicles, high quality auto repair and superior customer service for every car related need. Founded by Gustave Schaller in 1953, the company has spread their influence over a vast range of automotive brands by opening a number of different dealership locations in the area. The family-owned and operated business provides its clients with the best selections of new Hondas, Mitsubishis, Subarus, and Acuras, as well as a vast selection of pre-owned vehicle specials. Schaller Auto World President, Art Schaller Jr., largely credits his employees for the success of the business. What makes Schaller Auto World stand out from its competitors is the ability to service their clients for all their car related needs. “Not many car dealerships can do that,” said Schaller. From purchasing and insuring to cleaning and repairing, Schaller Auto Group has got you covered. Schaller Auto Body proudly claims to have the resources to fix any make or model vehicle. The repair center keeps over $500,000 of auto parts in stock, so car repairs are fast and efficient. The shop also contains high tech equipment to ensure that quality and craftsmanship can be carried out on all the vehicles they service. Their craftsmen are certified professional technicians, as Schaller only hires I-CAR trained gold class professionals and ASE Certified technicians. The entire staff is dedicated to furthering their education so they are knowledgeable of the most recent techniques available to fix your vehicle. Kar-Kare is Schaller’s full detail department that cleans and polishes vehicles inside and out. The detailing service provides a complete vacuum of your vehicle, cleaning of its seats, dashboards, floors, mats, tires and wheels. The inside windows are cleaned with a technique that will not scratch or mark window tinting. It also offers hand polishing to protect the paint from harsh New England weather. Furthermore, the family-owned business offers its customers competitive car insurance rates through Allstate Insurance. Posted in New Britain Herald, , on Tuesday, 26 March 2019 20:19. Updated: Tuesday, 26 March 2019 20:21.